It�s a stark contrast for the down-to-earth Harvey girl, who also spends time in Joondanna when at race meets and feels more comfortable in her racing silks than in designer get-up but still she takes to the photo shoot with ease. The 18-year-old whose love for the majestic animals began early in life, is following in her family�s footsteps and taking it all in her stride. When the race that stopped the nation saw the first female jockey Michelle Payne take out the Melbourne Cup, Warwick was beating the boys at their own game too – taking out two races at Ascot on the same day. 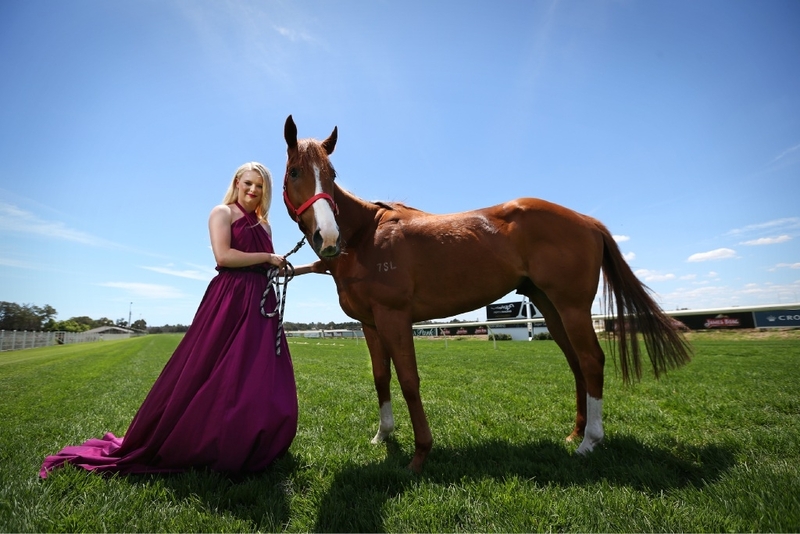 Having only taken up the sport professionally about two years ago, she has clocked up 196 wins, is a Perth Racing ambassador and the face of the Kingston Town Classic and couldn�t imagine doing anything else. �My whole family have been in racing their entire life. Both my grandad and his dad trained trotters, my dad was also a leading harness driver and trainer and won many races. �My mum was a world-class show jumper at one stage and mum and dad now train race horses. With Michelle Payne hype at fever pitch, Warwick said she could not be happier for the 30-year-old who took out this year�s Melbourne Cup as the first female to do so.